A Port St. Lucie homeless man was allegedly caught on surveillance video stealing a chainsaw and stuffing it down his pants, according to police reports. The accused apparently stopped in Treasure Coast Lawn Equipment in the 1800 block of Southwest Bayshore Boulevard on Oct. 28 and asked for $1 worth of change, according to a police report. He is accused of picking up a Stihl chainsaw valued at more than $600 and leaving, riding away on a bicycle. Surveillance video allegedly shows him stuffing the saw down his shorts and covering it with his shirt. The saw was not running at the time, according to police. Employees chased the man, later identified as a 28-year-old homeless man. He apparently hid the saw in a wooded lot along Southwest Molloy Street before getting away from police. 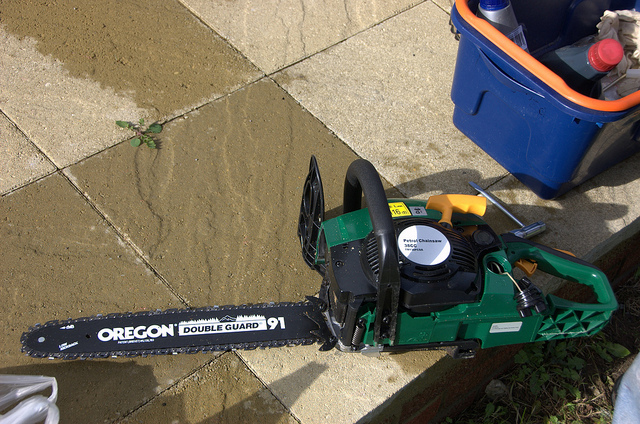 The saw was eventually recovered, but police were unable to locate the man. Police eventually caught up with the accused who allegedly told them he stole the saw and put it in the woods. He was arrested on a grand theft charge. In the state of Florida, stealing property between $300 and $20,000 in value is classified as grand theft in the third degree. This offense is punishable by up to five years in prison and a steep fine of up to $5,000. 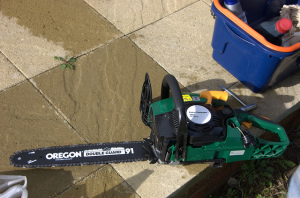 Due to the fact that the chainsaw is valued at more than $600, the man was arrested for grand theft. If you have been arrested for a theft charge in Port St. Lucie, a St. Lucie County Criminal Defense Lawyer at Whittel & Melton can evaluate the facts of your case, and offer you defense options and suggestions. We can begin helping you right away, so do not delay, call us today at 561-367-8777 or contact us online to request a free consultation.